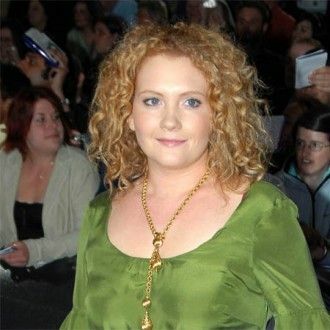 Jennie McAlpine thinks Coronation Street's John Stape is "the friendly local murderer". The actress admits fans of the ITV1 show used to ask her why her character Fiz Stape is still married to the deranged teacher - who is currently covering up for three deaths he was involved in - but have stopped questioning their relationship since he become a father to baby Hope. She said: "People used to ask me why Fiz is still with John. But ever since they had Hope, the audience seem to have let him off the hook. They don't see him as a real baddie anymore - he's just the local friendly murderer!" Fiz's evil husband is set to be the centre of some explosive episodes when he fakes his own death, leaving Weatherfield residents believing his wife killed him. However, despite his wicked ways, Jennie doesn't want John (Graeme Hawley) to leave the show because she would miss her on-screen spouse too much on set. She added to Inside Soap magazine: "I don't want the storyline to end - I'd be really sad if Graeme wasn't here. We've got really nice chemistry with Sam Aston, who plays Chesney, and Georgia May Foote - it would just knock the balance off. "I'd love to see John and Fiz's marriage survive despite everything . but I'm not sure it can."